This guy again? More Pornhub bounty things? Well yeah, sort of. Recently I found a stored cross-site scripting vulnerability in Pornhub core(i.e pornhub.com). Allowing any user to post malicious links to their 'steam' aka profile. This post will explain how the attack was possible and show some examples of execution of said attack. This issue has been marked as high risk in this scenario based upon the affected demographic and the impact of the payloads. As can be seen clearly in the screenshot, the link is valid in the user's stream and the alert box is also validly displayed. The following screen captures will demonstrate how this issue was produced. 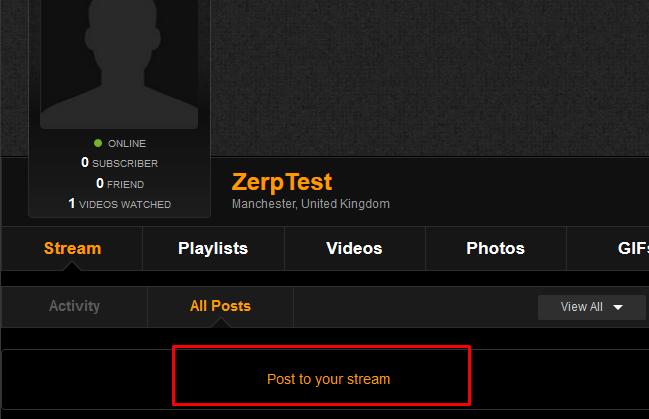 Step 1: Navigate to the user profile stream page and select "post to your stream"
Step 3: Inject payload string similar to that demonstrated above. Step 4: Click post/submit, the screenshot below shows a snippet of the POST request that is made, notice the payload is included twice. Step 5 & 6: The payload URL can be seen lying dormant until an unsuspecting user mouses over the link and the payload pops! Pornhub have since patched this issue and as a result, this is no longer a working method of exploit delivery. An alert box was used to demonstrate that the attack was possible however, more weaponized payloads could have been used such as a BEeF hook. Thanks to Pornhub for the bounty and for fixing the issue. Everyone is that little bit safer now!